The Southern Medical Program is pleased to announce the appointment of Dr. Delilah Topic as the new Year 4 Transition into Professional Practice (TIPP) Co-Lead for the Southern Medical Program. 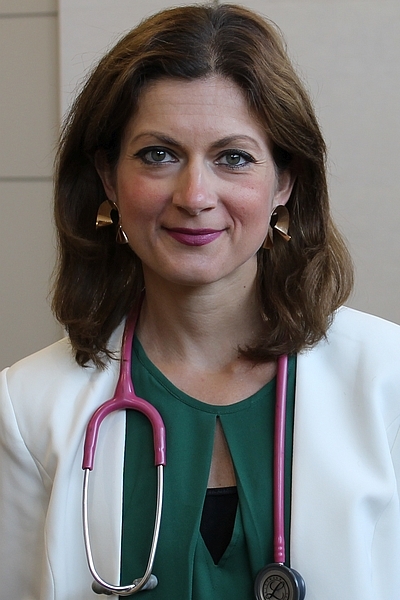 Dr. Topic is a medical oncologist based at Kelowna General Hospital (KGH) and Clinical Assistant Professor with the UBC Department of Medicine, Division of Medical Oncology. Dr. Topic completed her medical degree and residency training at the University of Toronto. For the past six years, she has worked with the BCCA Cancer Agency, Sindi Ahluwalia Hawkins Centre for the Southern Interior. During her medical practice, Dr. Topic has served the SMP as a Case-Based Learning (CBL) tutor and a preceptor for third and fourth year students training at KGH. Dr. Topic is the 2018 recipient of the SMP Year 1 Excellence Award, awarded for excellence in medical education by first year SMP students.